What is a Crash Pad? If you are new to bouldering, or have never heard of bouldering, get a good introduction to bouldering by reading our article. When you are bouldering at a gym, the gym will have thick mats or padded flooring to make it safe for when you land. When you go outdoors bouldering, the ground is not as forgiving. Crash pads, or crash mats, give you a padded landing to place on top of the hard ground which can often be rocky and uneven. They are designed to fold up and be carried on your back with straps like a backpack. When you go with more than one person, each person can carry one and you can make a bigger safe landing spot underneath the bouldering route. Obviously safety is the number one reason to use a crash pad, but there are other features that can make certain ones more desirable. The type of padding used can absorb the fall differently between brands. You have to carry the thick and heavy padding on your back, often on a long and challenging hike. Just like backpacks, you may find that certain ones distribute the load differently and don’t hurt your back or your shoulders. Often you can attach your shoes to the outside straps or hang them off the back of the crash pad. 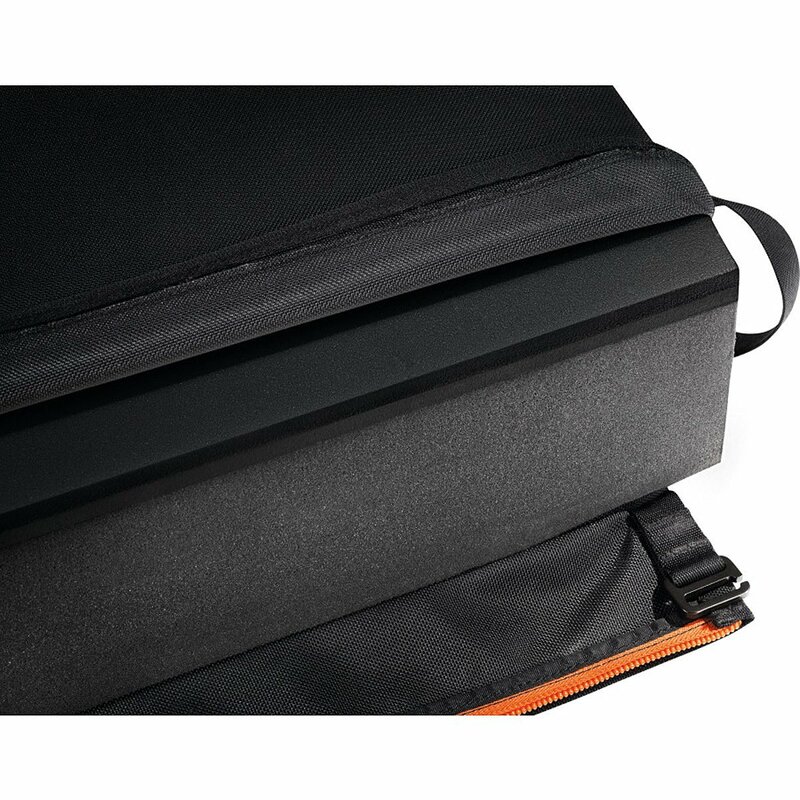 Some crash pads have details like zippered flap closures that allow you to keep them secured inside instead of having to pack your gear in a separate bag. We have chosen our 3 favorite crash pads that we think you will love too. They are all great, but some offer extra details that you may find important. Whichever crash pad you choose, you won’t be disappointed if you go with one of these popular favorites. 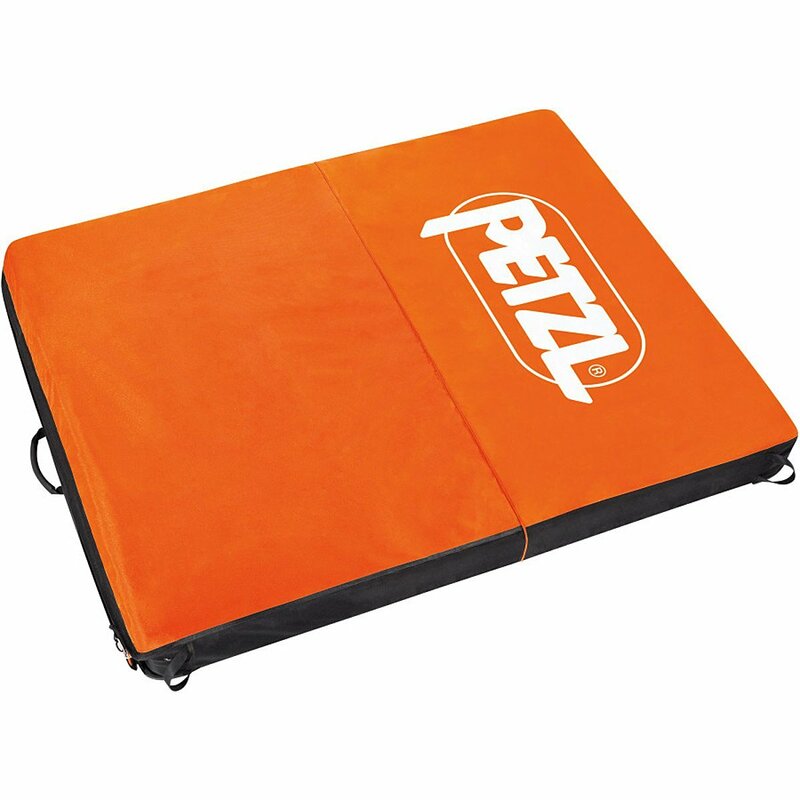 The Petzl Cirro Crashpad is a three-layer foam matt that folds up and zips closed. An opening for a storage space inside the folded mat is created when it’s zipped up, and your gear won’t fall out of the bottom since it’s zippered. Its dimensions when unfolded are 58″ x 46″ x 5″, and when zipped up it measures 30″ x 46″ x 14″. When unzipped, the straps can be covered so they don’t get muddy and wet from being on the ground like with a lot of other crash pads. The shoulder, waist, and chest straps are adjustable and the solid metal buckles are great quality and keep everything from slipping once it’s fitted comfortably. The straps are also very thick and wide, making it easy to carry even if you load it up with extra gear inside the zippered enclosure. There are even extra straps that let you set it up like a chair instead of laying it flat to catch a fall. The Petzl Cirro really is a very versatile, high quality, and well-designed crash pad. 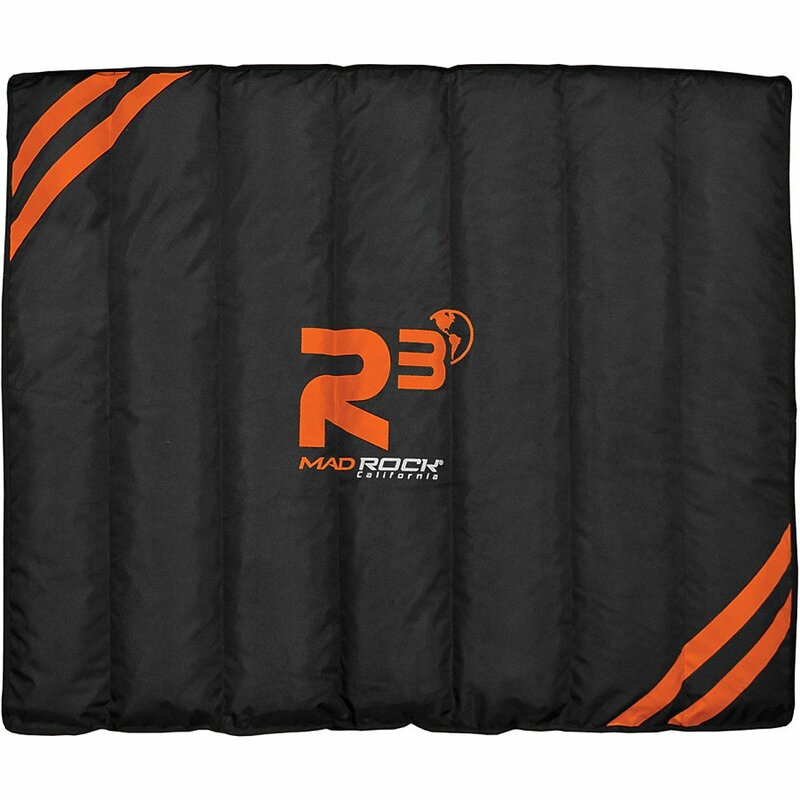 The Mad Rock R3 Crash Pad is extremely durable, and is designed to lay flat without hinges or creases. Its filling is a very unique cushioning, that is flexible and manages to fit well even on surfaces that are not flat. Its dimensions when unfolded are 55″ x 35″ x 4″, and when folded up it measures 35″ x 22″ x 9″. It is a very large surface area, and it is pretty heavy to carry. It has a flap to cover the straps while they are on the ground. It also contains recycled foam so you can feel good knowing it is finding a use for materials that would otherwise end up in landfills. 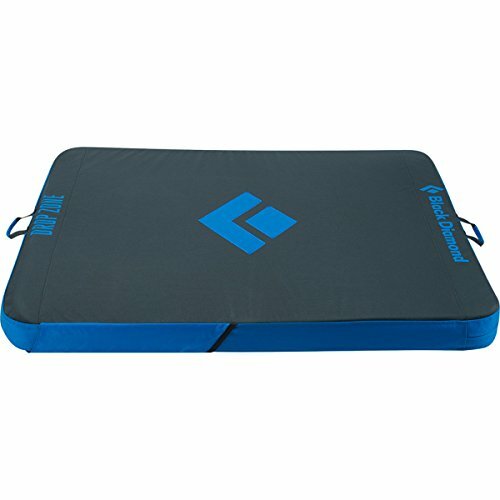 Overall, the Mad Rock R3 is a unique and highly recommended crash pad that cushions your falls like no other. 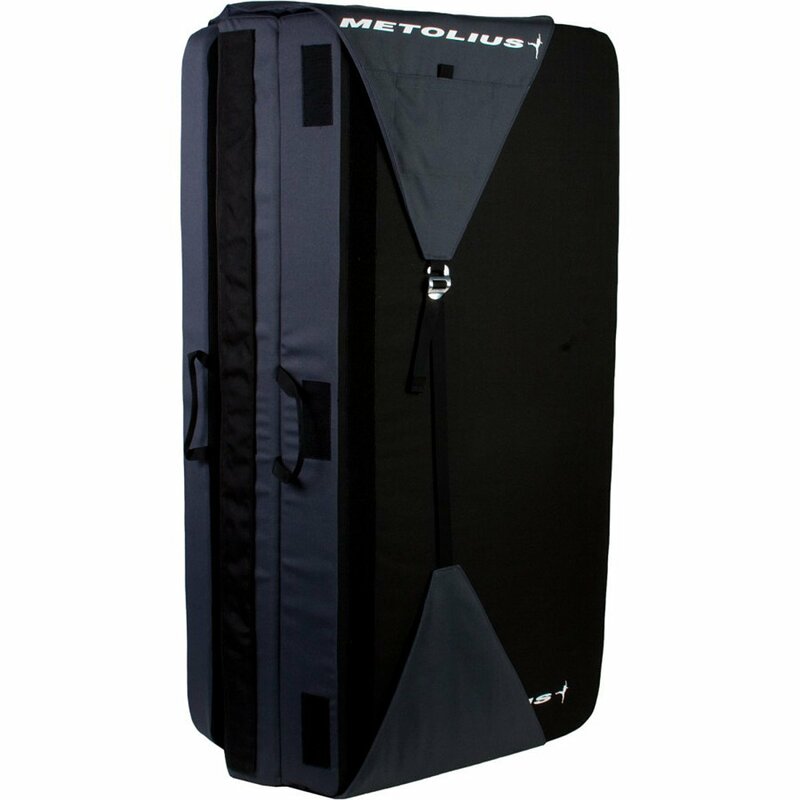 The Metolius Magnum Crash Pad is a massively large mat with a lot of surface area, and a tri-fold design so it feels smaller when it’s folded up on your back. Its dimensions when unfolded are 70″ x 47″ x 4″, and when folded up it measures 47″ x 25″ x 13″. It’s very easy to collapse and fold, and quick to secure up as there is only one strap to fasten. It makes moving from spot to spot less of a hassle. There is a small pocket on the outer side when it’s folded, to quickly stash smaller pieces of gear, and you can fit larger things like your shoes inside it when it’s folded up. When unfolded, there are velcro flaps that cover the seams, so that when you land you don’t sink in to the creases. The fastening flap also covers the shoulder straps when it’s unfolded on the ground so they won’t get muddy. 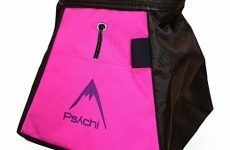 The waist and shoulder straps are very plush and comfortable, making it feel light to carry. The Metolius Magnum is a very well designed crash pad that feels like it’s lighter than it is, but offers amazing padding. The Black Diamond Drop Zone has a large, continuous landing surface, with no creases or folds to land into. It is a mid-size crash pad that measures 41″ x 48″ x 3.5″ and only weighs 10 pounds. It folds up like a taco, and has a nylon cover to seal up the one side. It’s easy to stash other belongings inside the pad once it’s closed and things will stay securely inside it to carry with you. It also has a small zippered pocket to lock away smaller things. The Black Diamond Drop Zone is a durable, well-made, mid-size crash pad that isn’t a pain to lug around, provides a safe, flat landing, and is designed with great features. What is Bouldering? 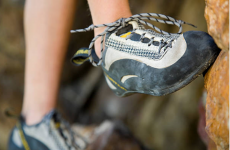 The Best Bouldering Shoes for a Sure Grip The Best Chalk Buckets: Huge Chalk Bags for Boulderers Different Brands of Rock Climbing Chalk: Which is Best for You?